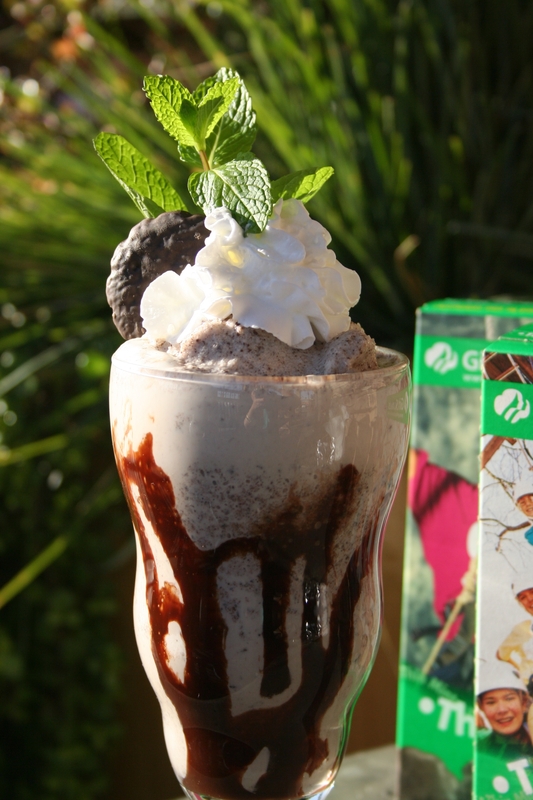 Lazy Dog donates $1 of every Thin Mint Milk Shake to local Girl Scout troops! Planning a special meal out with your family or significant other? We recommend the Lazy Dog Restaurant & Bar in Temecula! Beginning on Monday February 18, the chain brought back its popular Girl Scout Thin Mint milkshake. And the coolest thing? For every shake the chain sells, it will donate $1 to local Girl Scout troops. 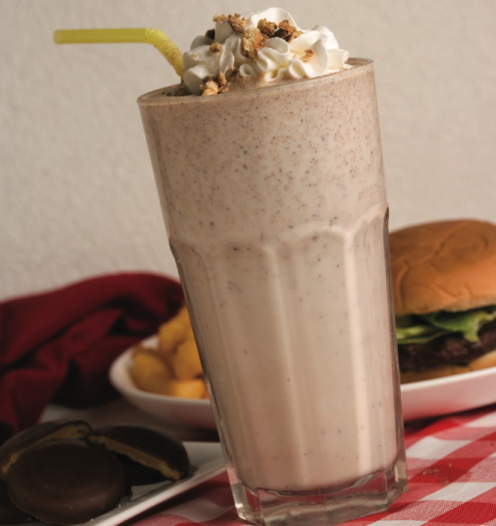 So make sure you order a Thin Mint milkshake with your meal, and support a brighter future for local girls! The shake, made with vanilla bean ice cream blended with Thin Mint cookies and topped with whipped cream, will be available through March 27. If you’re not planning to go out, then find out how to make your own Thin Mint milkshake or even Peanut Butter Pattie milkshake, not to mention tons of other delicious Girl Scout cookie recipes on our Girl Scout cookies blog! I went and got mine the other day, delicious! Previous Previous post: Honoring incredible female engineers – it’s National Engineers Week!